State Express Transport Corporation provides Services to Nagercoil From Chennai and to Chennai From Nagercoil Under The Brand Tag Nanjil. 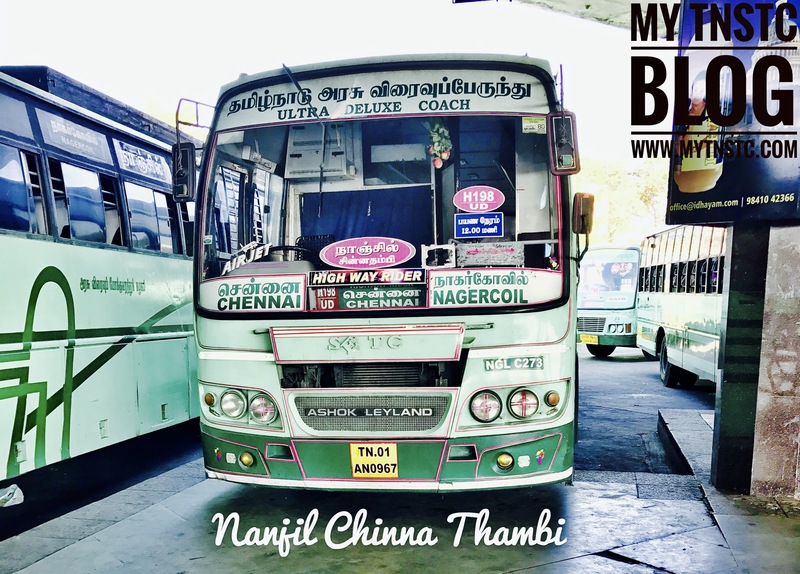 The Nanjil Chinna Thambi is one of brothers of Nanjil class of services. My mass ride in NGL UD is last may from Nagercoil it only went inside nellai n waited fr 15 from ther non stop to Chennai summa therika vitaru driver 10.